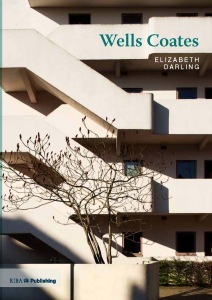 The architect-engineer Wells Wintemute Coates (1895-1958) is amongst the most significant figures in the history of 20th-century British architecture. Through projects such as the Lawn Road Flats of 1934; the Sunspan Houses of the mid-1930s; Embassy Court Flats 1936; Palace Gate Flats, 1939 and the Telekinema for the Festival of Britain, 1951, he is recognised as one of those who brought about the introduction and development of architectural modernism in the UK. His reputation in this respect has increased in the past decade: Coates’s work for Isokon was featured in the 1999 ‘Modern Britain’ exhibition at the Design Museum, while, more recently, the restoration of Lawn Road and Embassy Court has brought his work to the attention of a new audience. Despite this reputation and recognition, there is little published work on Wells Coates. It is, therefore, an appropriate moment for a new study of this significant figure to be published. Its primary concern is to re-introduce Coates to a modern audience, presenting a thorough account of his oeuvre and the context in which it was created. It will show how Coates, as a designer of products, interiors and buildings, developed a new formal and spatial language of design which worked to shape and influence the path British modernism would take both during the 1930s and after the war. Elizabeth Darling PhD is an architectural historian, and is a Senior Lecturer in the Department of History and Art History at Oxford Brookes University. She specialises in the history of architectural modernism in Britain and in 2007 her monograph on inter-war modernism, Re-forming Britain: Narratives of Modernity before Reconstruction was published by Routledge, 2007.